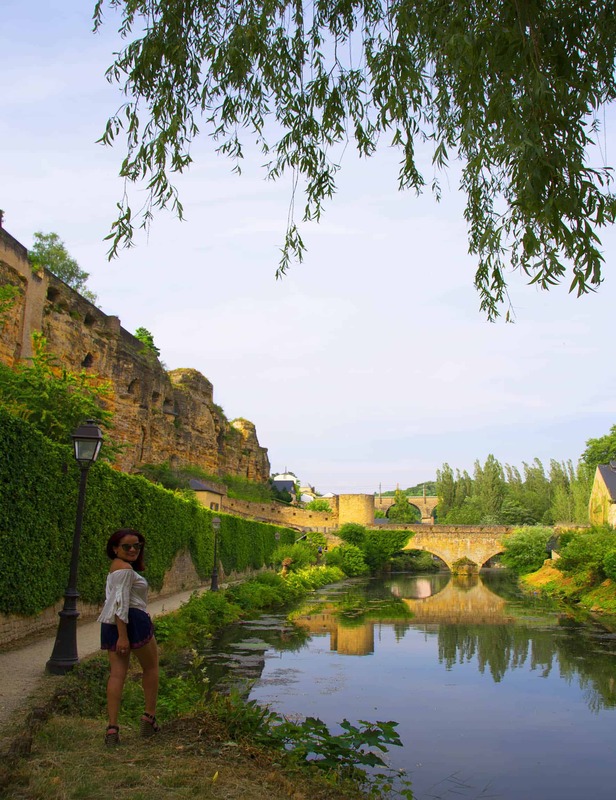 Over the summer, I got invited to experience the vibrant culture, beautiful fairytale castles, architecture, food flavors and diversity of languages Luxembourg has to offer. Did you know that Luxembourg is one of the smallest countries in Europe? Well, do not be deceived because it has a lot to offer! 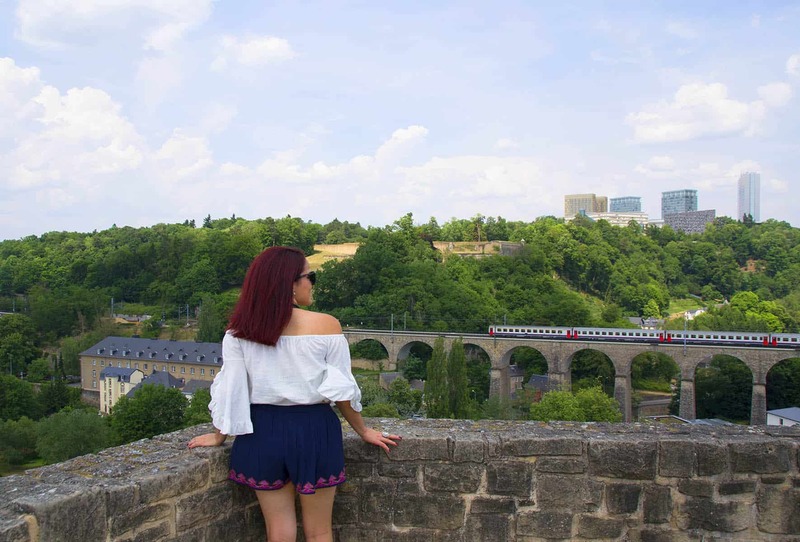 In this post, I share some of my favorite spots in Luxembourg, the highlights and of course, travel tips (things to do in Luxembourg City in one day.) Warning: You may get inspired to plan to visit Luxembourg immediately upon reading this. Luxembourg in Europe is not to be missed! 2 How did I get to Luxembourg? 3.5 Ready to explore more? 3.6 Where to Stay in Luxembourg City? Luxembourg has a very interesting history, which makes this country special, starting with having the world’s only Grand Duchy (a state ruled by a grand duke or duchess). 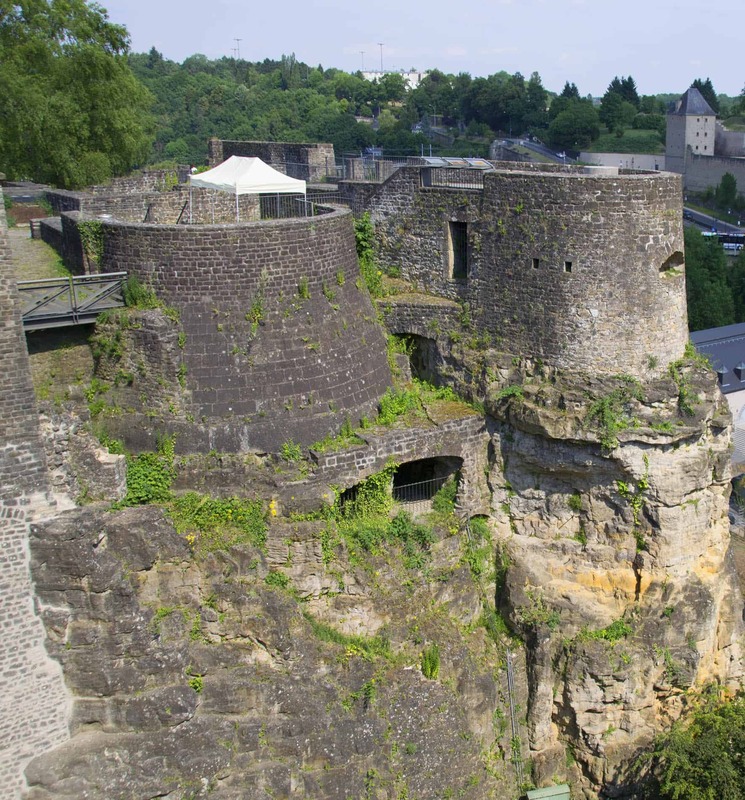 Luxembourg has a famous military fortress, which was founded in the 10th century. As you walk around the streets of Luxembourg, you never know if it is better to say thank you, danke, merci, or just simply learn thank you in their language, luxembourgouish. This is all because Luxembourg belonged to different countries (The Netherlands, Spain, Austria, France and Prussia) before finally becoming an independent constitutional monarchy in 1839. It is a mix of influences when it comes to language, food, people and more. Get ready to embrace it! In addition, Luxembourg is one of Europe’s most prominent financial centers. It is home to the European Investment Bank and other important financial institutions. Fact: Most people commute to work daily or weekly from other European countries. You will see lots of business people, especially during the week. How did I get to Luxembourg? 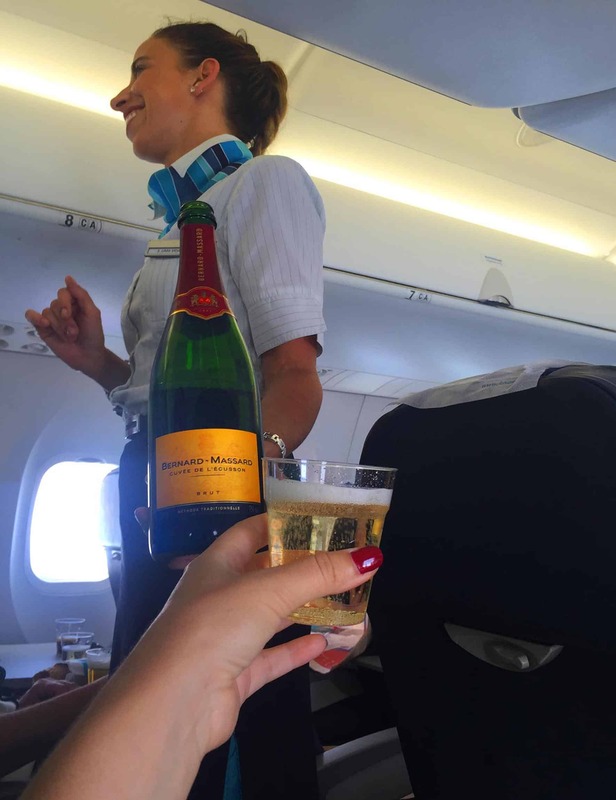 I arrived to Luxembourg directly from Vienna on an economy non-stop flight that felt more like business class. Luxair was totally a luxury in the air experience for me. 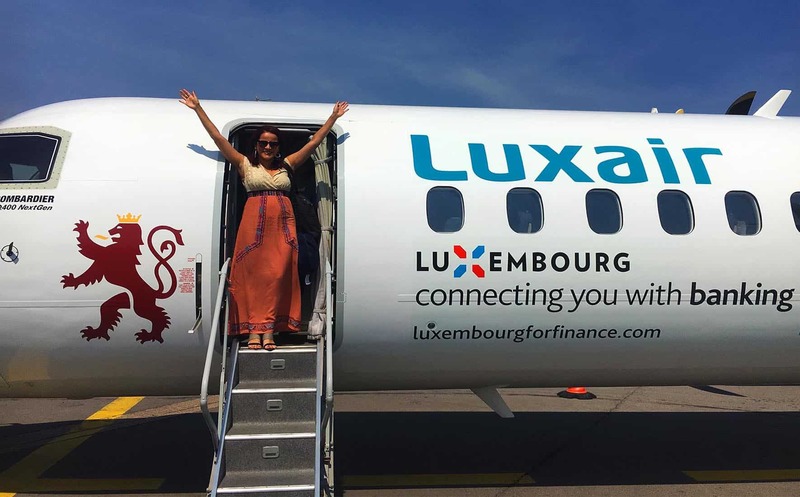 You can find many non-stop flights to Luxembourg from almost every airport in Europe, which makes it a great destination to visit for 24 hours, or for a weekend getaway. You can take a taxi or, if you are on a budget, it is super easy to take the bus from the airport to the city center with your Luxembourg card. The Bus #16 is a short ride to the city center. Everything in Luxembourg is very close by. Enough of history and travel arrangements. Let’s discuss what to see/do when you only have 24 hours in Luxembourg. The good news is that all of the heritage buildings in Luxembourg city are located within minutes of each other. It really is a super, walkable city. 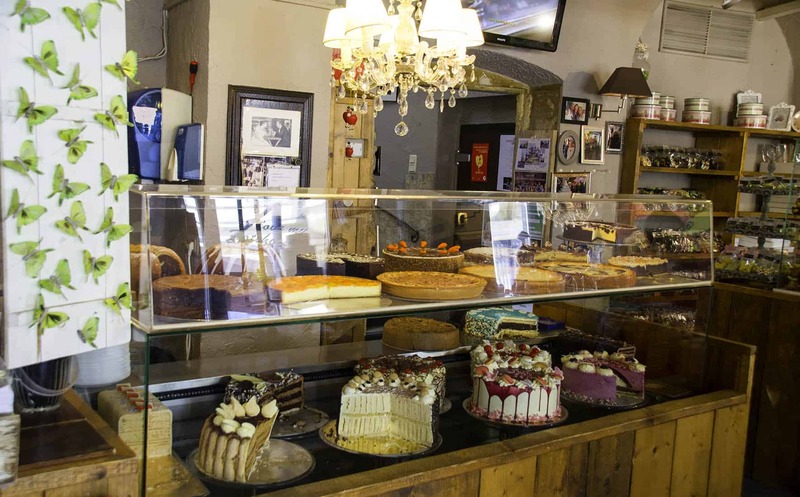 This place is great to satisfy your sweet tooth. From outside you can smell and see heavenly chocolate and a variety of cakes. It is perfect a place to grab some tea, coffee, hot chocolate and enjoy one of their cakes. Nice décor and delicious sweets. This cute little shop is very well known for their Madeleines. They are delicious and crunchy. You must try them! I especially loved the half chocolate ones. Next to Boutique Léa Linster Delicatessen, this is a great store to buy products made in Luxembourg (locally designed and produced). You will find a very good selection of items. Good location to shop for some souvenirs too. 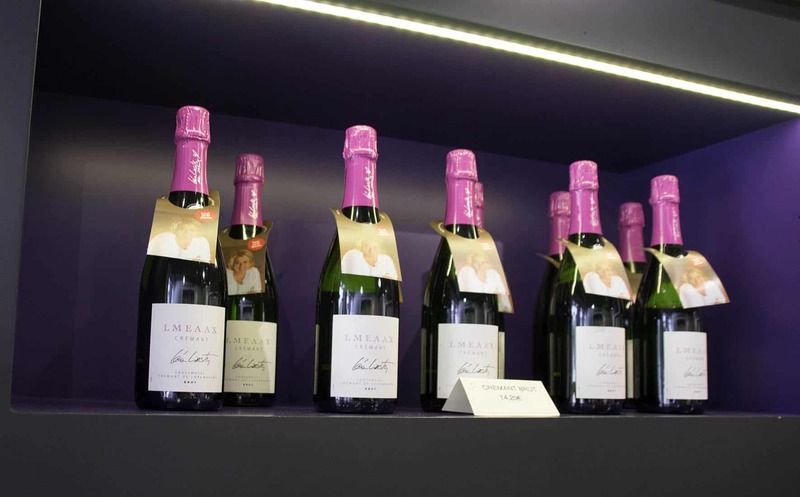 Note: You can take home some Luxembourg Local Sparkling Wine, Beer and other drinks. 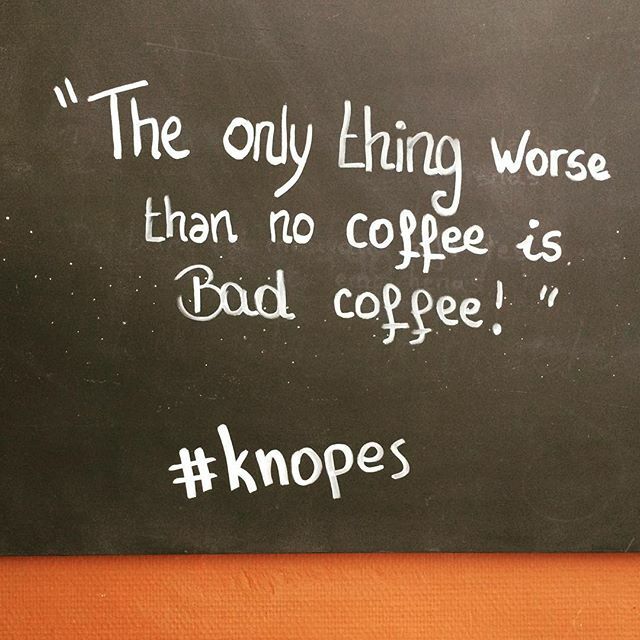 Best coffee shop I found is a 6 minute walk from Place Guillame II called Coffee Shop Knopes SA. It was highly recommended by some local friends and it did not disappoint. They roast their own coffee (which you can also buy there). It is a small place but people praised it as the best coffee in town, and I agree! Coffee is fresh and delicious. 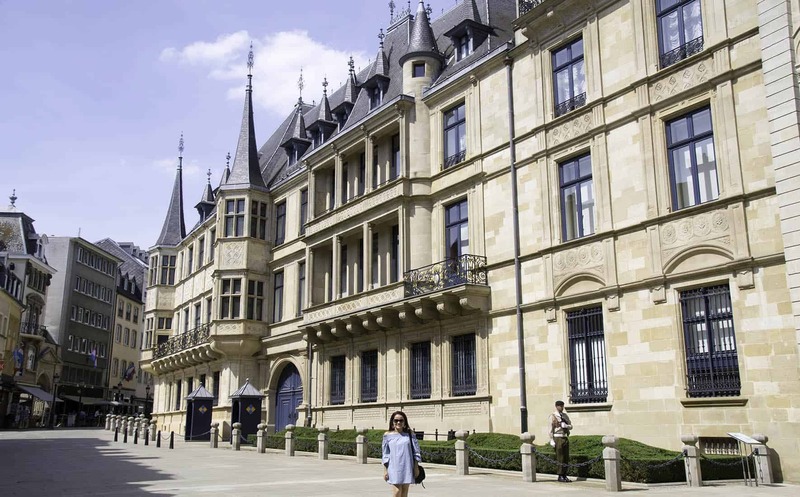 The town residence of the Grand Duke, the grand-ducal palace in Luxembourg is a must-see. It is right behind the Place Guillame II and it is the official residence of Grand Duke Henri. It is unquestionably an example of great architectural style and is one of the most beautiful façades in the city (Flemish Renaissance, 16th century). I was also looking forward to seeing the interior (since I heard it is so majestical) but it can only be visited exclusively during specific times in the summer: July 15th through September 3rd. I must go back to see the inside and you should plan a visit around that time for the full experience. Note: It is still great to go there to watch the changing of the guard in front of the palace. You will love the cobblestoned streets and overall area. I highly recommend that you not only visit during the day but also return to see it at night. It’s just beautiful! Don’t forget to just simply wander around Ville Haute, take some selfies and visit their shops. You will make fabulous memories. Fact: The ancient streets and alleys of the old town are featured on UNESCO’s World heritage list. 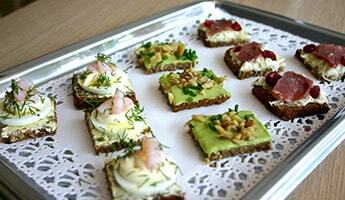 If you prefer to just have a light lunch, I totally recommend to stop by Njord MNHA. 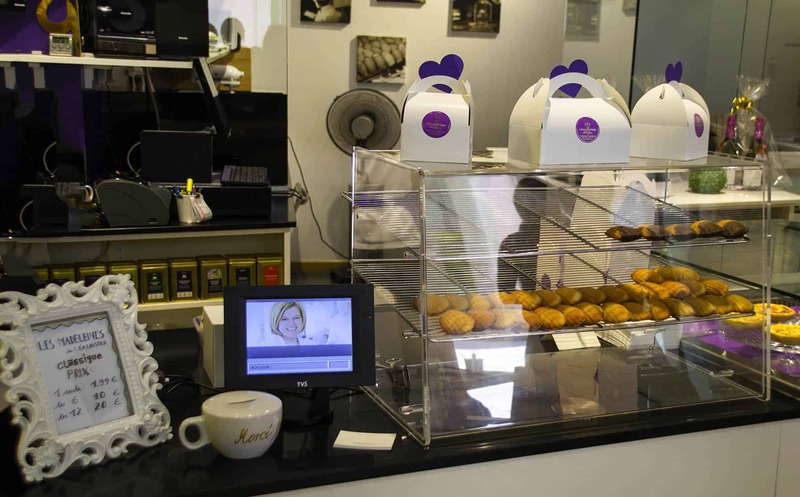 It’s a very casual place where you can just take a tray and pick from a selection of sandwiches, quiches, salads, toasts, other snacks, cakes, natural juices, smoothies and more. They have many vegetarian options as well. 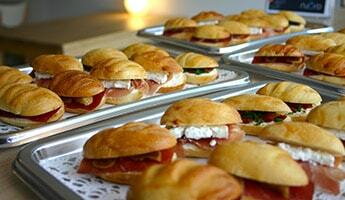 If you are looking for a more gourmet place, I recommend you visit Cafesino. 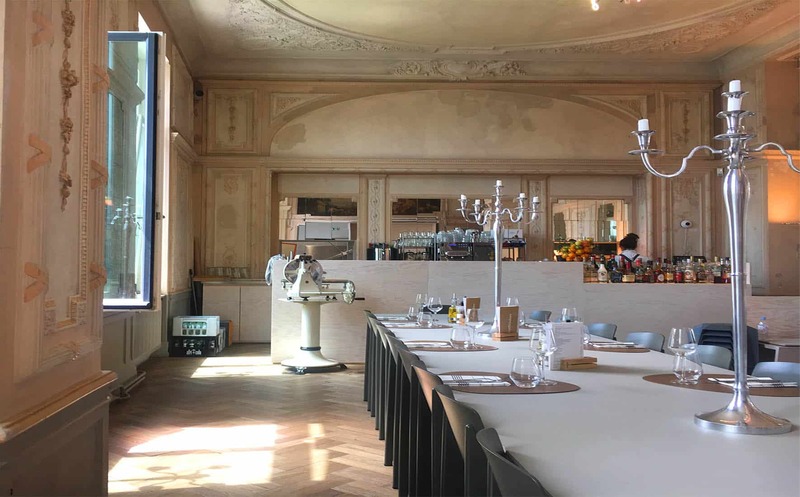 This venue is a rebirth of the over-a-centenary-old culinary and cultural history of the legendary Casino Luxembourg, in a chic brasserie spirit. Their food is very fresh and super delicious. 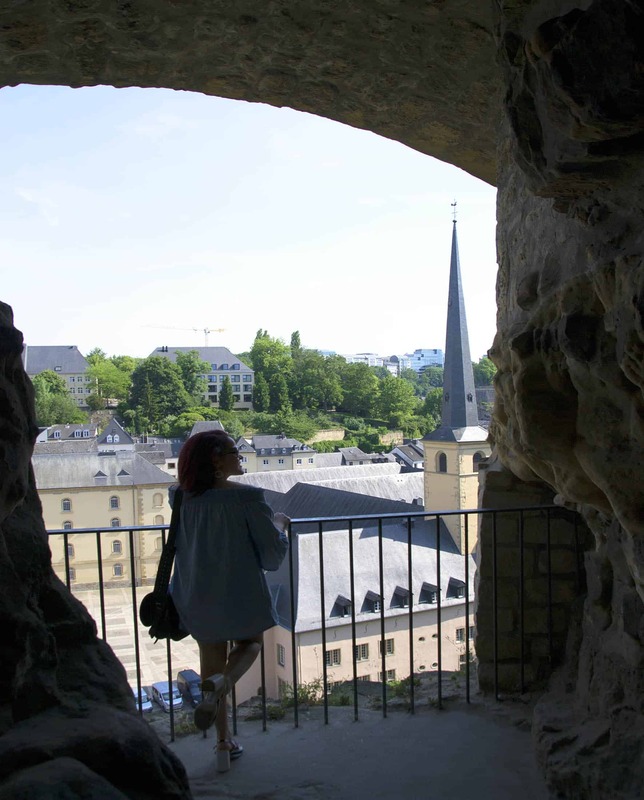 Casemates is a must-see if you visit Luxembourg. 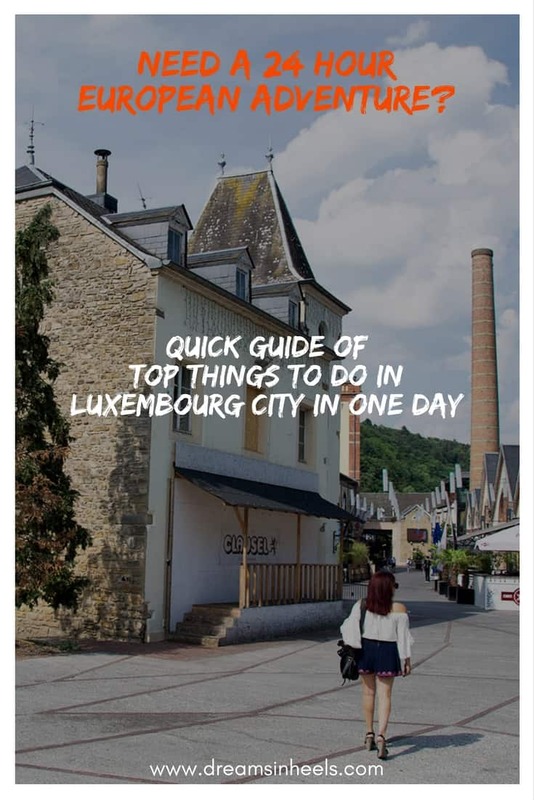 It is definitely one of my favorite things to do in Luxembourg city in one day! 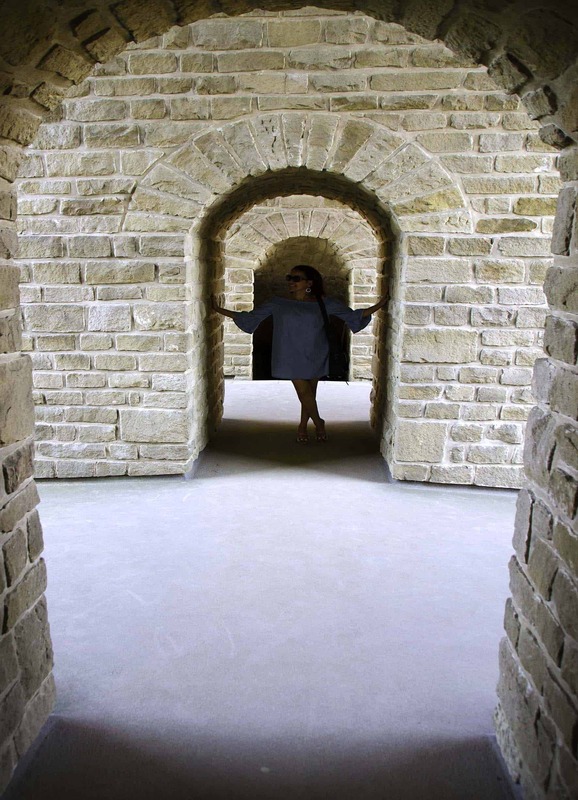 It’s a great place to explore (especially if you like fortifications). In some areas it can get a bit dark and narrow, but I think that adds to its mystery and charm. It was also cooler there which was a welcomed surprise since I visited Luxembourg during a summer heat wave. Casemates du Bock is a network of galleries excavated in the 18thcentury to add to the city’s outstanding defenses. 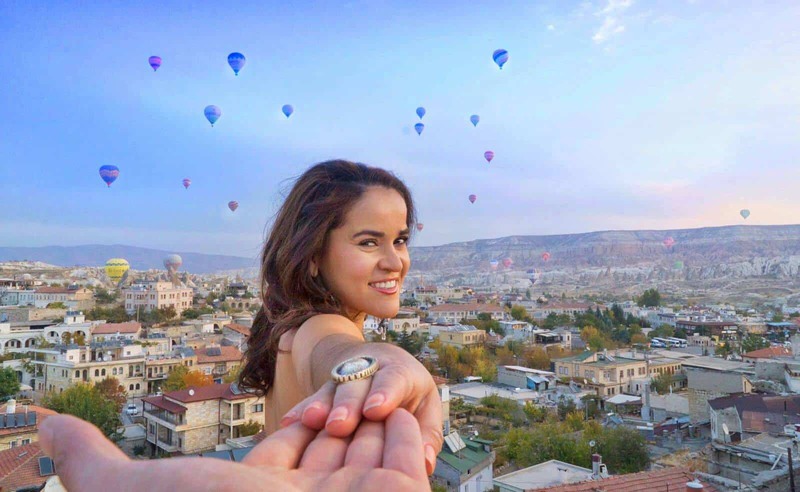 You can find great spots for pictures with amazing views of the city. It’s such a photogenic place, you can’t go wrong. After Casemates, you can go to Grund. 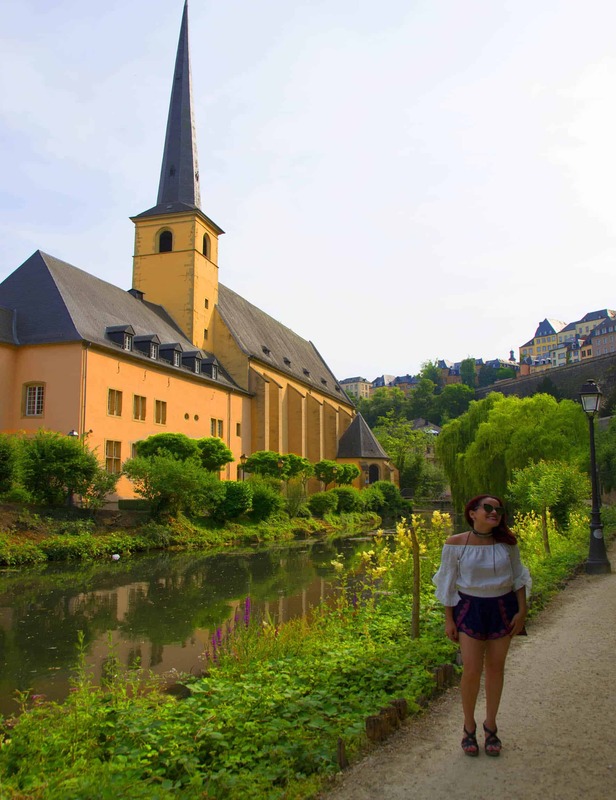 The Grund district is great for a relaxing walk, known for its medieval architecture, scenery and riverside promenade, allowing you to take in the magic and beauty of Luxembourg. To reach Grund, you need to go down hill (steep) all the way to the bottom. The elevator is far away on the opposite side, so what I suggest is for you to go down walking, explore the entire area down there (where you will see ruins, walls, pathways, arcs, river, restaurants, bars, etc., then come back up after crossing to the other side with the elevator (Note: Many bars and nightlife options open later in the day which is I why I recommend that you visit during the day and evening). While it’s much easier to do it this way, it’s still a lot of walking so, get ready to burn those calories consumed earlier! Another option is to take the bus back up. I personally prefer to walk to take in the magic and beauty of Luxembourg. After going up (in my case exhausted because of the heat wave) I suggest you to go back to your hotel, or find a spot to relax and refresh before you head back out for dinner. 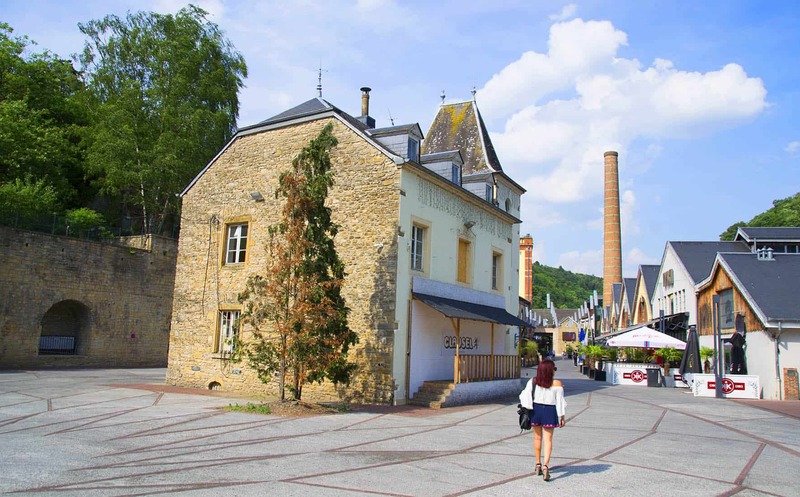 Where to Stay in Luxembourg City? I suggest the Hotel Novotel Suites Luxembourg. It has a very super modern and clean look, great customer service, comfortable beds, fast wifi, and it’s very well located since right in front of it you can catch the bus to the airport (20 minutes away) and it’s only two stops away from Ville Haute. The breakfast had many options and the food was delicious. I truly enjoyed my stay at the Hotel Novotel Suites. For dinner, I recommend Brasserie Siegfried. It’s a great restaurant with a fun atmosphere and ambiance. Beginning with the cool décor (wallpaper displaying ads, commercials, brands and more from around the world), we saw people playing fun quiz games at their tables. They also have a nice bar area with a variety of drinks. It is an excellent place for groups. We truly enjoyed their food (yummy steak) and special selection of wine and beer. The Grund has many bars, lounges and great places to hangout plus, it is beautiful to see all the lights at night. If you prefer a wine bar, Luxembourg has lots of great ones. Just walk around, feel the ambiance and pick your place. Note: If you are not about the nightlife, or you just happen to arrive in the afternoon/evening, there are also city promenade-walking tours of Luxembourg, available with guides who’ll cover the highlights in the evening, but only on Fridays. You can get your tickets here. Take a day trip to explore some of the fairytale castles of Luxembourg. Museum lover? There are 7 museums in Luxembourg City located within less than a mile and they are free of charge with your Luxembourg Card. 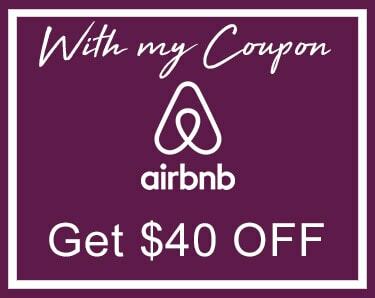 Visiting during the summer time? Why not check out some outdoor concerts or events by visiting Visitluxembourg.com before your trip. Geoportal.lu for maps with hiking trails, biking tracks etc. As discussed, Luxembourg has a lot to offer with regards to food, sites and culture do to it’s unique history prior to Independence. You cannot replicate this experience anywhere else in the world! Enjoy! Note: This trip was hosted by Visit Luxembourg but all my opinions are my own. You had me at pie. You had me at PIE! 🙂 Looks like fun! Such an inspiring mix of old and new. I think many people heading to Europe overlook Luxembourg. I would go there. Amid other pursuits, I would enjoy a nice cup of coffee with a locally made chocolate….mmmm! Deborah, yeah it is a very inspiring country. I agree that it is super overlooked. I also love coffee and chocolate. You must! Cozy streets, picturesque views… wow…. I wish I can visit this place some day!! I’d love to visit Luxumbourg! Such a great article! Well 2018 is almost here. Start planning now! Love your post and your website! You’ve got some great travel advice. I’ve been to France but not Luxembourg yet. Definitely saving this post for the future! Thank you so much Sarah! I am glad to hear this. 🙂 Safe travels! I hadn’t realized Luxembourg could be so interesting! Being so small, I really did hear very few things about it – and I had no idea that they have, for example, the largest underground tunnel system. hmmm all lol I would say wandering around the streets. It is such a picturesque place! Also, visiting the underground tunnel system was very interesting. I also went on a day trip to the castles. This will be one of my next posts. Stay tuned! Great post. What is a Luxemburg card? Will be sure to visit during the times the grand-ducal palace is open – thanks for the tips! I love your photos! It really looks like you had a great time. 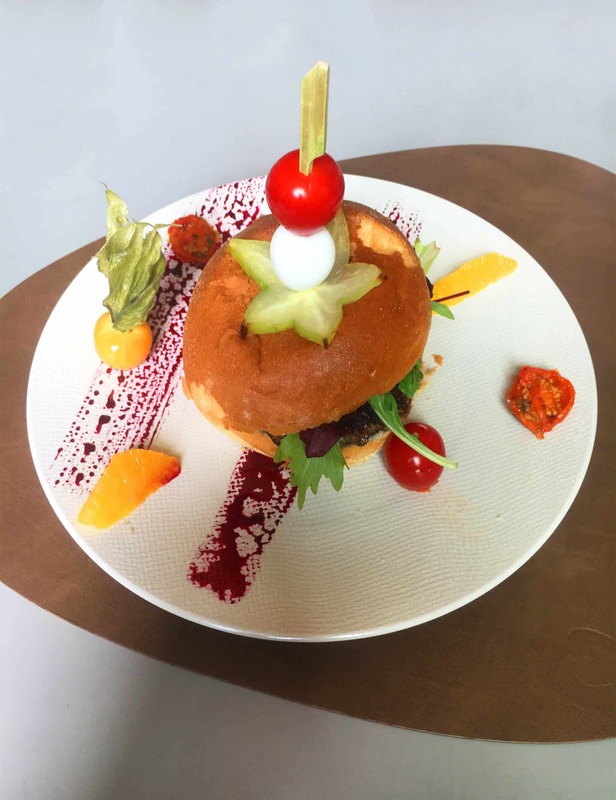 The champagne on your flight and that cake shop look delicious 🙂 In fact, all the food looks incredible! 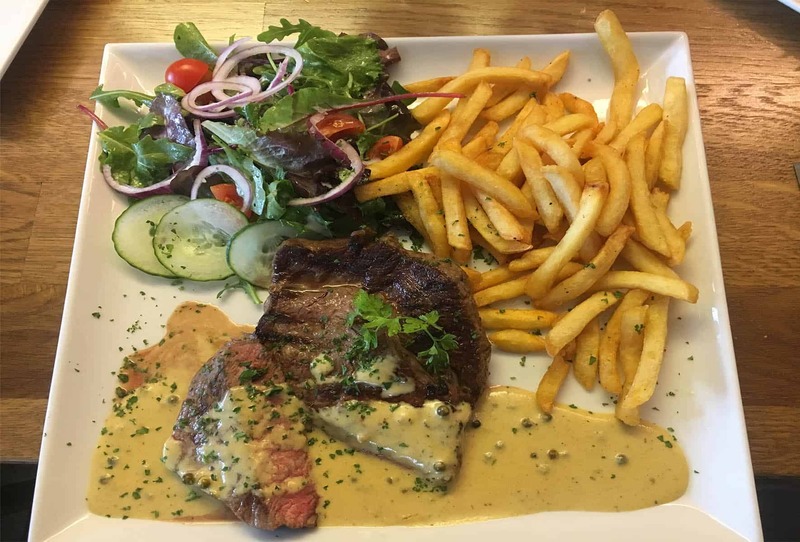 What a lovely city to wander around in – those steak frites look divine. Pretty and tasty place, can’t wait to visit myself someday! Yeah, it makes a perfect weekend getaway! I hope you have fun. Let me know how it goes. So many things to do! I love that its really an amalgamation of so many different cultures and languages – I feel like those places have the best food scenes! And I’m impressed with how much you got done in one day! Wow dear, I’m actually European but I’ve never been here! The food pictures are so yummy you make me wanna visit! Also, that plane looks so tiny but it looks like it delivered you fastly from Vienna to Luxemburg! Yeah the food was wonderful. Also, I love the service of Luxair. It was a great flight! Iwish I came across this a year ago. I went to Luxembourg for a couple days but it wasn’t that well known so I found places by chance. Well you can always revisit 🙂 Why not! I’ve always debated on if Lux should be on my travel list. After reading this, I would say that I don’t know why I’ve put it off so long. It looks amazing. Thanks for sharing all the details. Wow, looks like Luxembourg has a lot to offer! I’d love to visit. Those madeleines are calling my name! Looks gorgeous, I hope to visit some day! I am glad to hear. Thank you for commenting! What an incredible post!! I have never even considered Luxembourg before, but now I am sold!! I love that your post gives some of this history, the culture and the fun things to do! PLUS that delicious chocolate and coffee looks to die for! I need to go here now!?????? Thank you so much for sharing! I am happy that you enjoyed my post. I am all about mixing culture, fun, food and adventure. 🙂 Thank you! Great post. I really would love to visit Luxembourg some day! Your pictures are stunning too! Love this post! I had no idea about anything about Luxembourg. Your pictures are amazing as well! Hope to visit this beautiful place someday. Thank you for commenting! 🙂 Luxembourg is so pretty. I love how you’ve also added a bit of interesting history, it’s very nice to read and your photos are stunning. Can’t actually believe I’ve never been there and I live so close. Thank you so much for making me wanna travel bit closer again. 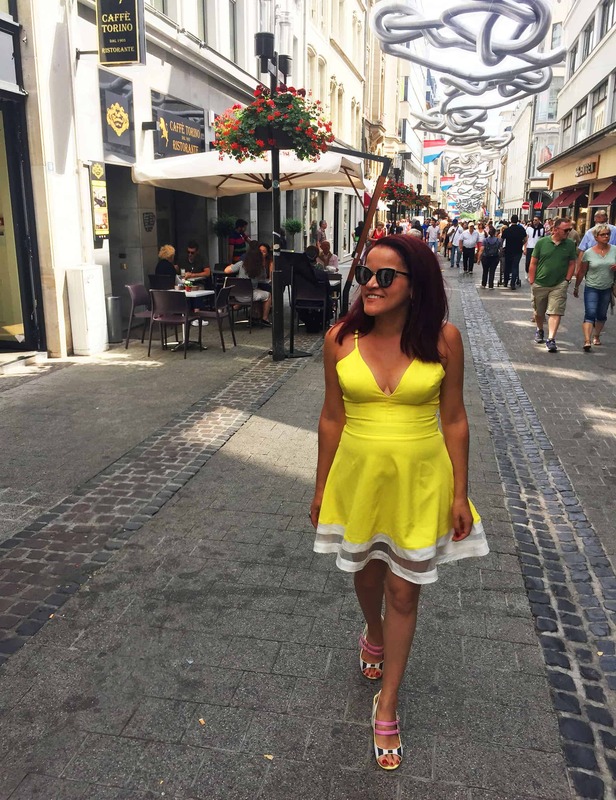 I REALLY loved Luxembourg, and love to reading about it. It’s one of the best post for me. This is a wonderful place of Luxembourg. Thank you for your sweet comment! Luxembourg is a great place. I love it. This is one of my best read also best experience with outstanding photography. Thank you! I am glad that you enjoyed the post.